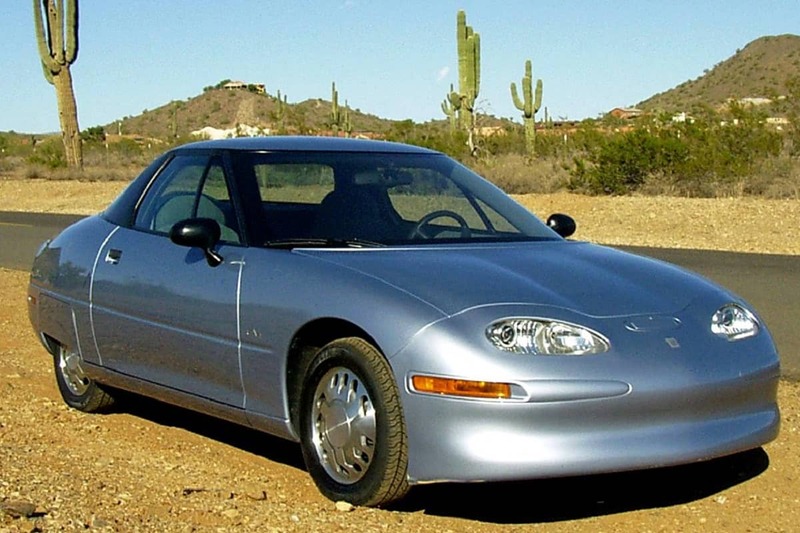 EV1 was a terrific car for the late 1990s. It was really sad to see how this car was brought out, and according to many people poorly supported by GM, then killed when government regulators lightened up on CAFE standards. But the story was apparently different. Ivan Jue, an EV enthusiast, who has contributed several stories to Torque News says the EV1 was lease only from the start and that GM needed more time, especially after seeing the battery cooling issue with Nissan Leaf. Here is Jue in his own words, which he shared in GM Electric Vehicle Owners group on Facebook. The was the most visible example, but the EV1 was never meant for sale. It was lease-only from the start. Other automakers did the same thing at that time (most Ranger EVs, S10 EVs, Honda EV Plus, etc, and they are still doing it now. BMW took back all of their Active E vehicles, which leasees loved and destroyed them too. They also destroyed all the Mini electric cars that were part of the pilot program. Do you want to guess what will happen to the lease-only Honda Fit and Clarity EV’s at lease-end? The crusher. GM never stopped after EV1. I spoke to a few of those engineers a few years ago—including Andrew Farah. A lot of lessons learned on EV1 went to Gen 1 Volt. The timing just wasn’t right for a pure EV at an “affordable” price point. GM even knew the Leaf battery would fail in hot climates with no liquid-cooled thermal management system—which is why they couldn’t come out with a pure EV when the Leaf was launched. The Gen 1 Leaf battery was a great example of cutting corners and “the hell with the facts—get product out now” mindset. I still think that killing, and later crushing the EV-1s was a mistake. Rick Wagoner has said the biggest mistake he ever made as chief executive was killing the EV1, because in 1996 nobody else had such a good lead in making EVs viable for mass production as GM did then. And that was lost. Sure GM would have had a tough time making a profit off of the first cars, but GM had started Saturn in 1985 to try and build cost competitive compact cars, and seeing the Saturn like styling of the EV-1, I would bet that Saturn would have been the division to sell the EV-1 if it made it into production. The initial problem with the EV1s was the Led-Acid batteries which were heavy and provided a 60 mile range in the first EV1s, but later lead acid battery designs offered 70-100 miles of range. In the later EV1 models they used a NiMH battery, which was lighter and provided 160 miles of range. I drove one of the NiMH EV1s and it was a fun car. Being much like my Volt that was built 10 years later. GM actually built several drivetrain variations on the EV1 with a CNG model, series hybrid, parallel hybrid, and fuel cell model. In 1997, a year after the EV1 was released, the first Prius came out and even though Toyota took a loss on every one they built initially, they eventually made a good profit, and importantly established themselves as a leader in fuel efficient cars and innovative technology. Still, I am glad that GM did their prototype work on the EV1, and eventually came out with the Volt and later Bolt EV. Killing off the EV1 program was a move that highlighted what was not working with the old GM, and hopefully the Volt, Bolt, and future PHEVs and BEVs will be an example of how rethinking GM's processes and production decisions kept the company competitive for the future. Killing EV-1 was GM's biggest mistake. Since then GM have been followers at all fronts and not leaders. They had the chance to be leaders with EV-1. Now they are too big and too late. The EV1 cost a fortune, which is one reason why it was lease-only. It also was a ridiculous car - a driving range that was about 50 miles and a recharge time that was slow. Lead acid batteries were never practical for powering an electric car. The EV-1 models were prototypes, and all research and development costs money, but you could see in just a couple years how far the EV1 evolved, with lighter, more energy dense NIMH batteries, and an increased range of 160 miles which would be suitable even today. We saw what happened to GM when they played it safe and eliminated risky innovative projects like this for years on end. They got caught up in bureaucracy, and favored marketing and bean counting over engineering, and their competitors took the lead, and once loyal customers moved on. A few FACTS. The EV1 drive train S-10 Pick up was sold and not all crushed. A little company in Mesa AZ EVbones bought 100 of them, re-engineered them with NiMH batteries from EV1 cars being crushed and resold them. Some are still on the roads today. It's all about the battery. If GM had lithium batteries with liquid cooling like todays best EVs it would have been easy. They could have been very successful with the Saturn SL1 and the 100 mile range, 4 door low cost car. But they made an odd very expensive 2 seat car doomed to fail.